Since the leadership election, Jeremy Corbyn has made it his priority to turn Labour into a democratic socialist party with the support of social movements. To this end, British-wide meetings have been organised by groups such as the Labour Campaign for Free Education, whose party guide for newcomers is in circulation. But socialists are also attending to their distinctive situations in the regions and nations of the UK, where quick local organising could transform and radicalise the Labour party from the bottom up. Can Corbyn activists grow socialism at a civic level in northern cities like Newcastle? What might London socialists do to resist a reactionary turn from ‘independent-minded’ Sadiq Kahn during the mayoral election? How should socialists penetrate the Welsh party where Carwyn Jones is sure to resist the anti-capitalism of this new movement? In Scotland, a year on from the independence referendum, many radical Yes voters are considering whether they can be part of a Corbyn-led movement. Some see Corbyn as a route to national-popular empowerment – advancing democratic socialism across the UK’s other nations and regions in the process. Others are more cynical, characterizing Corbynism as a hopeless phenomenon. The SNP, desperate to maintain their influence over left-leaning voters, have insinuated that Corbyn is unelectable. SNP MPs insists that they represents his values in Scotland – though Energy Minister Fergus Ewing has attacked Corbyn’s plans for public energy ownership, while Alex Salmond has sycophantically attacked Corbyn for refusing to sing the National Dirge. Meanwhile the SNP have used its indyref anniversary media to insist that independence remains an issue that is simply on pause, unaffected by the rupture created by Corbyn’s election. The embryonic far-left electoral alliance Rise are similarly fearful of losing support of those left-leaning voters who are inclined to join a UK-wide front behind Corbyn. They insist Corbyn’s election cannot revive Labour in Scotland, but is a ‘second front against the Westminster establishment’ to be welcomed under the caveat ‘divide the state, unite the moment’. This flips the historic usage of ‘united fronts’ on its head – whereas the communists sought a united front to achieve common ends (to strengthen the working class) using diverse means, Rise seems to be calling for a common movement for divergent end. In his article setting out why there cannot be a Corbynite Labour party in Scotland, Jonathon Shafi’s central premise is correct: Scottish Labour is a derelict bastion of the right whose leader Kezia Dugdale is aligned with Progress, the cabal that supported Liz Kendall. Socialists may have won most of the Scottish seats on the National Policy Forum, but these roles have minimal influence over the Scottish party. Former Chancellor and Better Together boss Lord Darling of Loretto has urged Dugdale to hold the centre ground and pull up the drawbridge. Corbyn supporters should assume the gates are shut – but it does not follow that they should look to other parties and leave Corbyn-led Labour to the English. A better response is to prepare more forceful methods to open the Scottish Labour party to democratic control by the thousands who have recently joined. Yes, creating a socialist Labour Party in Scotland requires more than insisting Corbyn redeems the whole party. 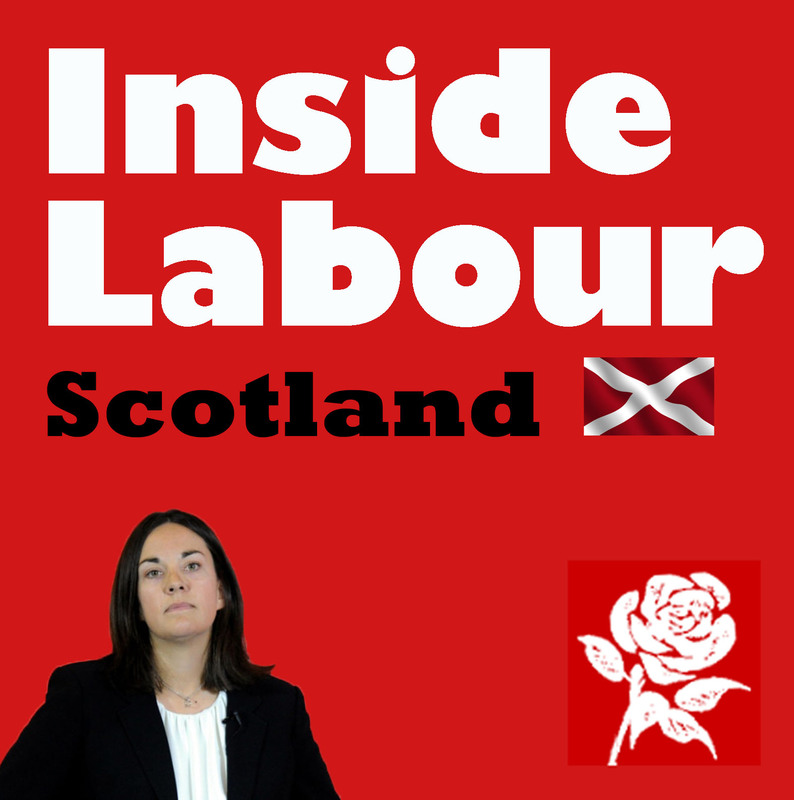 Labour socialists need to assert themselves, clarify divisions within Scottish Labour, and make common cause with those outwith the party to win backing for Corbyn over the next few years. Why not resign to fighting on separate fronts? Because there is too much power at stake. At certain unexpected moments in political struggles, socialists find themselves close to power, and reliant on support from across the left. Corbyn’s election is such a moment. At this point the ‘power/principle’ paradox surfaces: the radical principles that are most potent at grassroots do not align with the ends which socialists could achieve if they seized power. Independence is the issue that has stirred the sentiments of thousands of radicals in Scotland, but is clearly not Corbyn’s policy. Is it worth relegating the issue of independence for a few years in order to help Corbyn achieve power? Those who answer Yes to this question – regardless of their general stance on independence – are the kinds of radical who will provide the base for a Corbynite Labour party in Scotland. So how can there be a united front to defend and promote Jemery Corbyn despite constitutional difference? It is not enough to call independence an ‘argument of the past’ and call for ‘non-constitutional’ politics. That is a sure way to divide the left. A year on from the referendum, the national question is central to Scottish politics. Corbyn supporters can cut into the fabrications of social nationalism, but must also challenge Scottish Labour’s conservatism and obstinate contempt for those who support independence. When Corbyn summons his Constitutional Convention, Scottish Labour’s constitutional stance can be refounded on the basis of a process that includes and engages those thousands of trade unionists and socialists who backed independence. Every side should have time to present their case – even if the outcome will end up being to oppose another referendum. The Scottish Labour leadership is likely to respond to this kind of democracy by asserting its autonomy and using the forthcoming Scottish elections to demand a stifling unity. But current polls and common sense predict a dire result for Scottish Labour: on its current track it is likely to return only a handful more than the 12-18 MSPs it would have won on the basis of the General Election result. Crucial swathes of the electorate that left Labour to vote Yes will not support the party unless it is reconstructed. It is an electoral imperative for Labour to build a more radical identity that can contend with the independence movement’s soft-left ‘social nationalism’ to win the support of a generation of workers and students who first engaged politically through the Yes campaign. Part of this process has commenced through the emergence of Scottish Labour Young Socialists. SLYS is probably best pronounced ‘slice’, for it intends to expose divisions, cut into the party mechanisms and create an opening for organised socialism. It was created largely to enable socialist members, and non-members sympathetic to the labour movement’s ideals, to assert power over Scottish Labour’s obscure bureaucratic mechanisms and its jealous operators – but also to engage with the radical left that backed a Yes vote in the referendum. SLYS will build up a network of young activists and prepare them for constituency elections, strengthen links between trade unionists and Labour members, and share information about campaigns and organisations that are forcing change. Alongside addressing constitutional politics, the Scottish left should continue to make common cause: building support for the Living Rent Campaign for rent controls on housing, and the Better Than Zero campaign to end bad contracts – integrating the Labour left with others who are fighting exploitation. A clear and concrete road to socialism is via winnable campaigns that attack profit and demonstrate how collective control of property and services can work. Political education can help form conscious objectives for socialists; campaigns on issues like work and education can set the priorities for Corbyn’s Labour; and policies can be developed on the basis of socialist and trade unionist experience. These early days and months of Corbyn’s Labour leadership will test whether socialists can slice through the crusts of the party system and carve out a democratic socialist space big enough to organise for government and challenge capitalism directly, using the coordinated power of a united movement. In Scotland and across the regions of the UK, socialists are organising within the Labour party, determined to win more than the parliamentary power that for a century has constrained and distracted Labour. A year on from the polarizing referendum, this kind of front could unite a constitutionally divided Scottish Left. Posted in: Activism, British Regions/Nations, Labour, Nationalism/Unionism, Politics, SNP. Unless Corbyn stands for a voluntary federation of sovereign nations to replace the Westminster Union then he has zero chance of outflanking the SNP from the left and unless he stands for an OUT vote in the EU referendum he will lose the remains of Labour’s support to UKIP. An OUT vote in the EU Referendum: Another Europe is Possible. Yes Salmond the Snake attacks JC for not singing the nation anthem but if I was a Scottish Nationalist I would be a true Scottish Nationalist and would not grovel to the Royals, to the Bank of England and to the pound, but I am a democratic socialists who supports JC’s Labour and who wants a more Federal Britain. When a billionaire bully boy owner threatened to close a power station in Scotland the SNP ran way – we should have taken it into democratic public ownership with the staff electing a qualified board and communities having a say plus without compensation. Whilst the social democratic SNP supports privatisations in Scotland, as democratic socialists through a revigorated Labour we should be about redistributing wealth and empowering people as the SNP offers Scottish people crumbs! Build dual power. Build a JC organisation. Ready to take over constituencies. Half in and half out of LP, in partnership with Unions. revisit cities now, forget scotland. Why would you want to forget Scotland, or Wales for that matter because it looks like labour in Wales could be in serious trouble although I doubt the Tories are ready to take it yet. But we do need to take the battle to the SNP if you just give in then I’m sure some other party will gain the second place in Scotland, maybe the Liberals . I do not think labour can win losing Wales and Scotland and the way labour is looking right now with the Fabians now coming out against Corbyn and Progress planning something or other. I think labour are heading for a generation out of power.